Three weeks ago, he died. 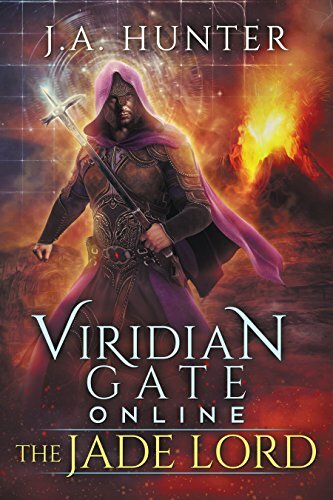 Two weeks ago, he founded the first Faction in the ultra-immersive, fantasy-based VRMMORPG, Viridian Gate Online. A week and a half ago the world ended, destroyed by a cataclysmic asteroid. Seven days ago, he conquered the Imperial city of Rowanheath, bringing all of Eldgard to the brink of war. Though Jack’s Faction, the Crimson Alliance, has a tenuous truce with tech genius and Imperial lord, Robert Osmark, Jack knows it can’t last. Osmark is devious and power hungry, and it’s only a matter of time before he sends his forces to wipe Jack and his underdog crew off the map for good. If Jack hopes to survive another month inside of VGO, he must find a way to beat Osmark and his army of bloodthirsty thugs, and a new quest—the Path of the Jade Lord—may be just the ticket. But this quest will be far harder than anything Jack’s faced before, pushing him to his mental, physical, and moral limits. And if Jack isn’t careful, his quest to defeat Osmark and the Empire may end up turning him into the despot he’s been fighting against.